Mitka and I had our doubts about this being a gold case, but the offer was of course made under the condition that the case was indeed gold with hallmarks. Dial and hands looked ok, but the lad still wanted £220, and so that was the end of it for me. So I write back and tell him that the dial is completely destroyed, and that I don’t really have any more interest in buying the watch. “Yes it is destroyed a bit because is has been too much connected to the base and i couldn´t disconnect it easy so I bend it over.. 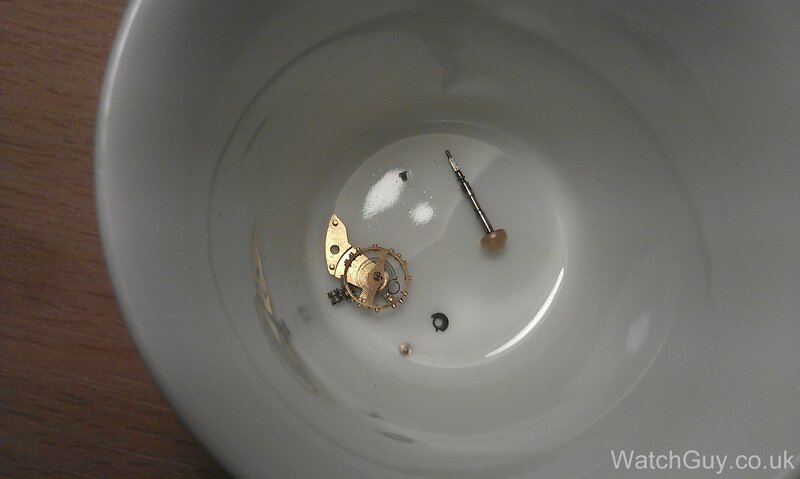 So I offer £5 for the parts that remain…. He’s not easily distracted from the great value of his gold plated watch, so I guess he will now go ahead an destroy what’s left. I think you’re lucky you still have your £150 in your pocket. 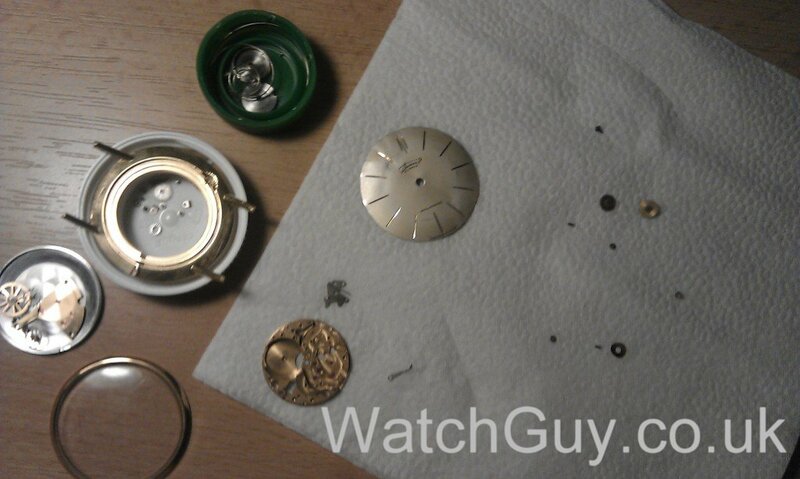 I don’t think watches generally have small bits in them that aren’t important, do they?? Yeah! That was death of a nice looking watch. Perhaps you could offer him the Swatch 51 in exchange and he could take the blowtorch to that. I am sure a lot of us wouldn’t mind that. Christian, I’d certainly hold on and wait for a good one. If your not too bothered about it having a ‘russian’ name on the dial, you can pick up the ones that where imported into the UK for lot cheaper. They are all sold under the ‘Sekonda’ brand, you want to search ebay for things like ‘Sekonda 23 jewels’. I picked mine up for about £20, in pristine NOS condition. Good luck! I feel slightly responsible! It was my vympel you serviced a few months ago! Luckily I wasn’t tempted to do it myself. 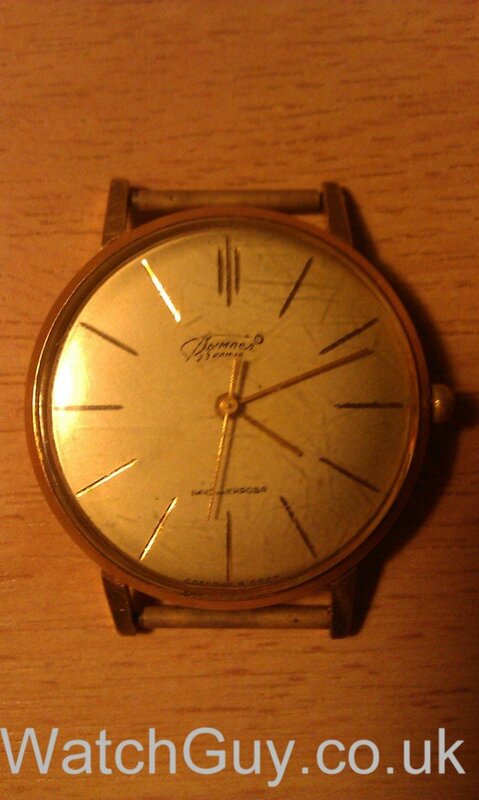 And in the solid gold watches the case cover is also gold coloured, not silver coloured like these pictures. (As you will see from the photos of my watch on this site). You have put my personal stuff here at your public website to describe me badly and blocked my e-mail address to react on it.. that´s say´s something more than a great watches or the bad watches. Nobody is blocking you – I hope you have found your comments now. I did not mention your name, nor your email address, so I’d live with that bit of a claim to fame. Not many people get their own blog post here. Hey guy , It is not nice tu put my pictures and my sayings here at the public website without my permission. 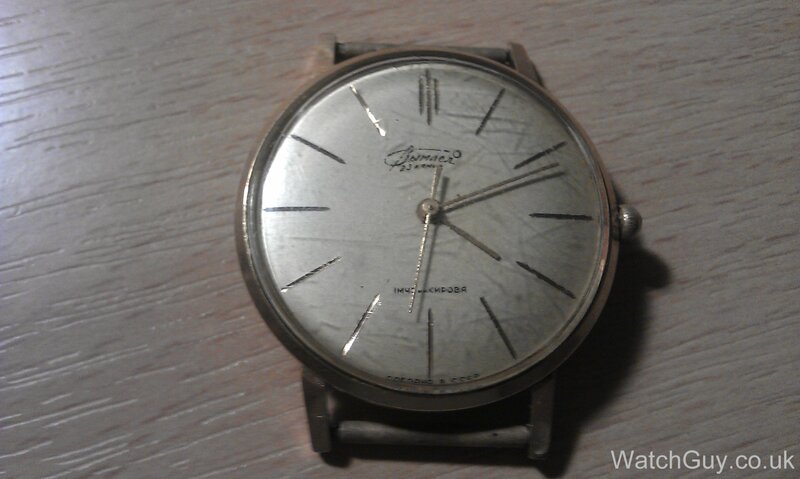 It is up to me to ask for any price I decidet I want for my watch don´t you think so ? It don´t care for how much you selling your watches , with your ugly bracelet. My one will look even with a broken dial much greater I promise you. 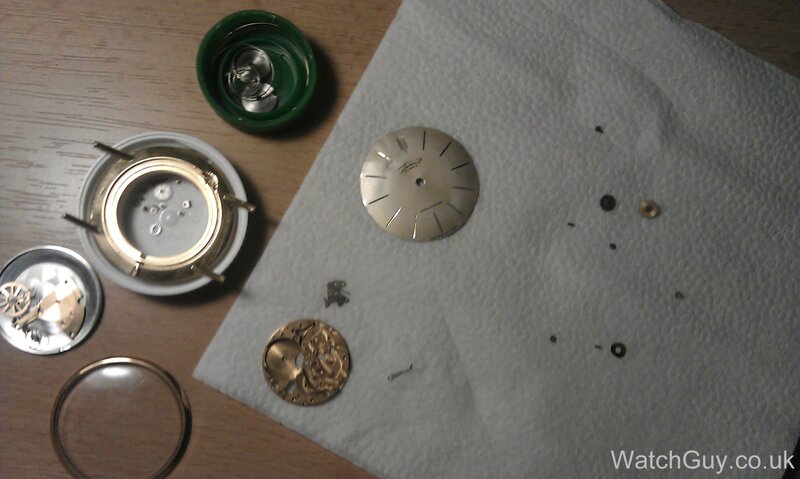 Because I am not just a watchguy as you are! That would be great – let me know when you stumble across a nice one. I’d rather wait a bit and have one in really good condition. 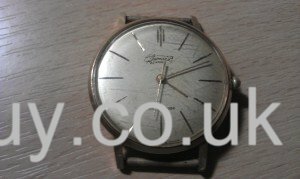 EBay item number: 171498641876 is the same watch. It is on a buy-it-now price of £94.03 and the seller will take offers. Oh, and it is gold plated, not solid gold. 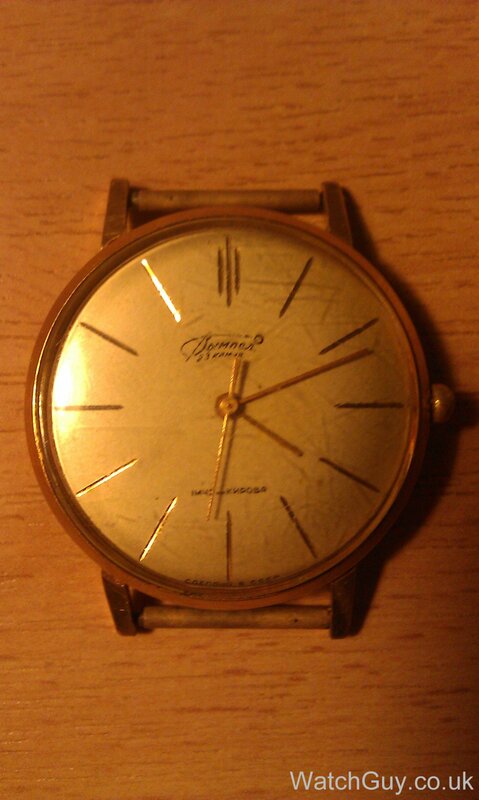 all russian watches with stamps au20,10,12,5,etc are gold plated.the numbers represent microns.the plating was very good they don’t spare materials back then.the solid gold ones are all marked 585,750,etc. 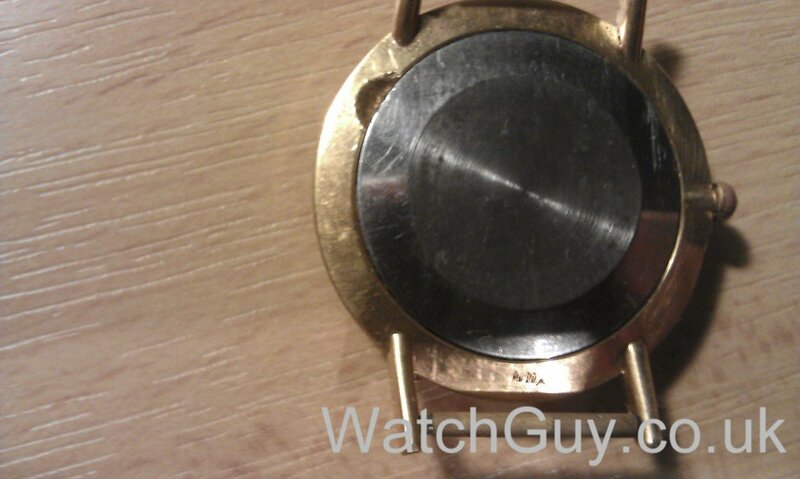 another thing is that almost all(99%) solid gold watches DO NOT have stainless steel back case. It’s not in Slovakia is it..? I think you’re mistaking lunacy for enthusiasm! Save us all from enthusiastic amateurs.